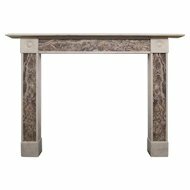 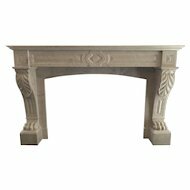 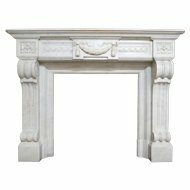 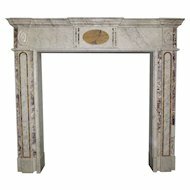 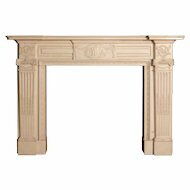 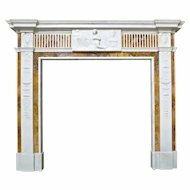 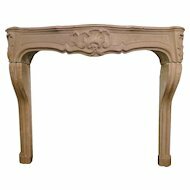 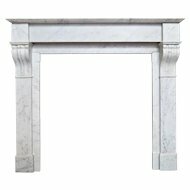 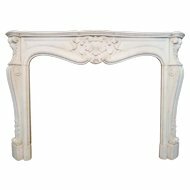 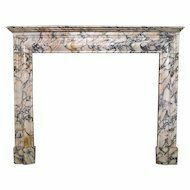 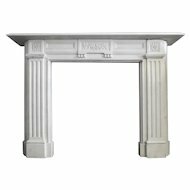 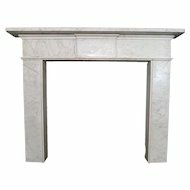 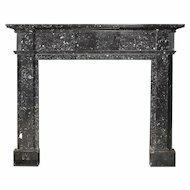 An elegant antique chimneypiece in Statuary White marble, and inlaid Convent Sienna. 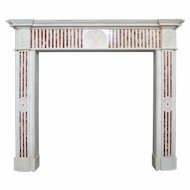 The jambs having delicately carved panels of ribbon tied bell drops, scrolls, foliage and oval Patarae. 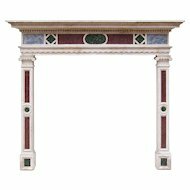 The conforming centre tablet of scrolls, foliage and circular Patarae flanked on either side by stop fluted panels inlaid with Sienna Marble. 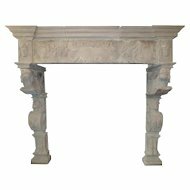 The inner slips on the jambs also inlaid in Sienna. 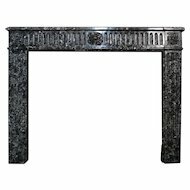 The end blocks of carved swirled Patarae, underneath a tiered and moulded shelf.